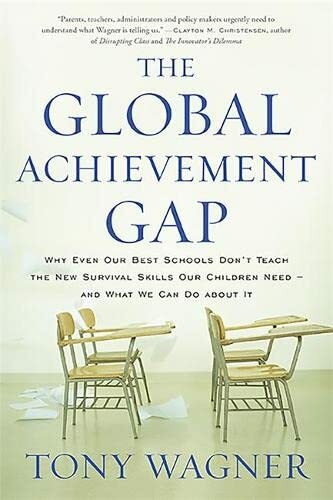 In The Global Achievement Gap , education expert Tony Wagner situates our school problems in the larger context of the demands of the global knowledge economy. He illustrates that even in our best schools, we don't teach or test the skills that matter most for the twenty-first century. Uncovering what motivates today's generation to excel in school and the workplace, Wagner explores new models of schools that are inspiring students to solve tough problems and communicate at high levels. An education manifesto for the 21st century, The Global Achievement Gap is a must-read for anyone interested in seeing our young people achieve their full potential, while contributing to a strong economy and vibrant democracy.This updated edition includes a new chapter discussing changes in education since the 2008 financial crisis, ethics in education, and recent initiatives such as the Department of Education's Race to the Top program and implementation of the Common Core.